Par ici favours the communicative approach combined with task-based language learning, and adopts a progressive learning curve within an essentially North American perspective. 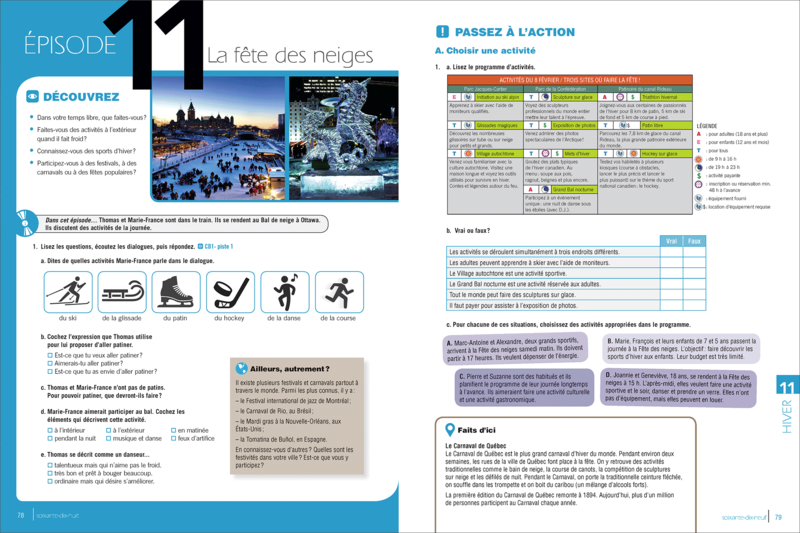 Through the 16 learning scenarios, students are introduced to various characters while absorbing the distinctive features of spoken Quebecois French. This method is the brainchild of Quebecois teachers. 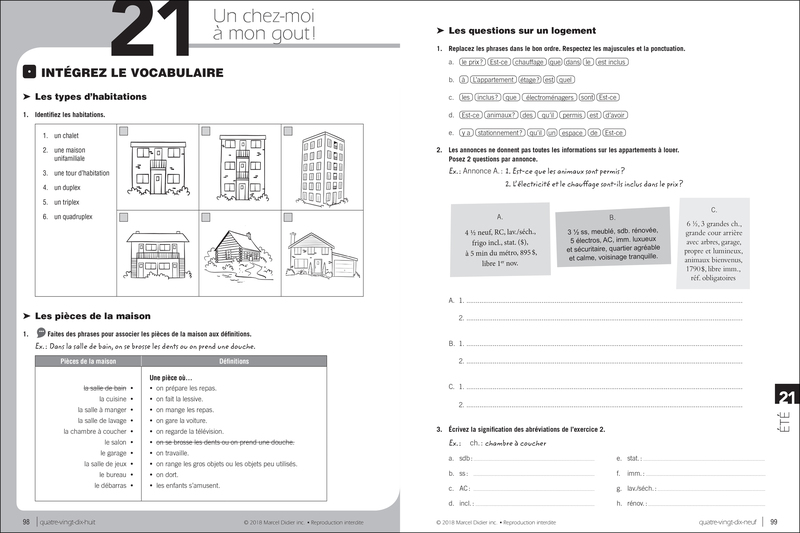 Its primary aim is to help students master levels 1 and 2 in each of the four skills – oral production, oral comprehension, written production and reading comprehension – described in the Curriculum Guidelines, which corresponds to level A1 of the CEFR (Common European Framework of Reference for Languages). 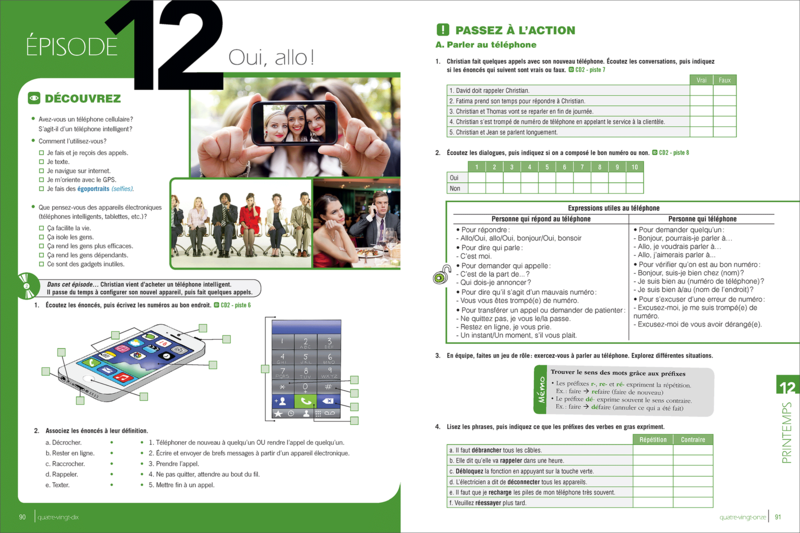 – a downloadable answer book. 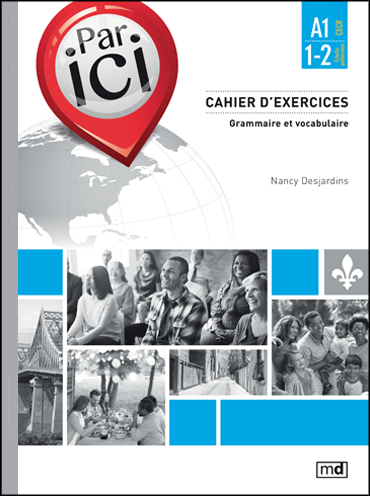 This book offers a wide variety of exercises to further explore and assimilate the grammar and vocabulary elements of the Par ici method. 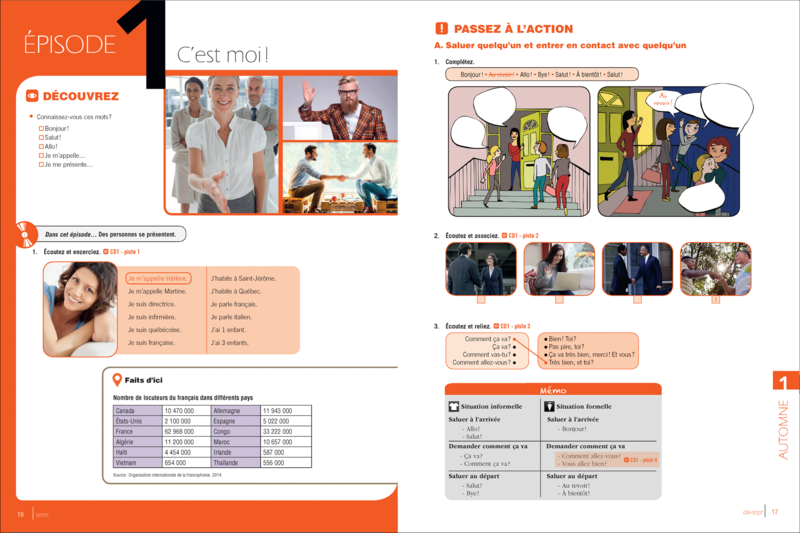 It will help you acquire the language essentials you need for everyday communication, and to master levels 1 and 2 of the Échelle québécoise (or CEFR level A1). 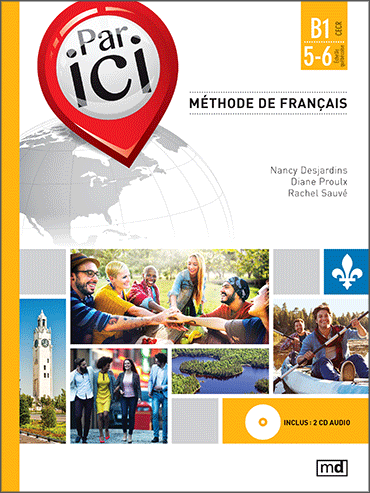 It is an invaluable tool for anyone wishing to learn French as it is spoken in Quebec and elsewhere in North America, with a view to study there, to work there, and more generally to integrate the new society. – enliven the classroom and capture the interest of students. 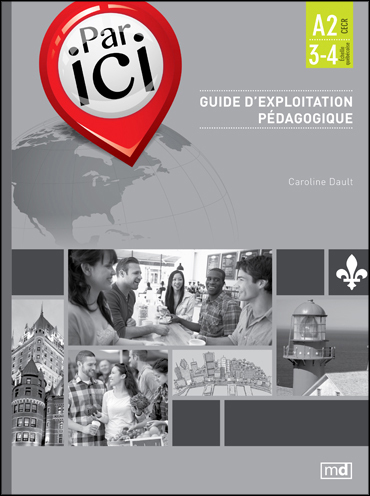 This teacher’s guidebook is a step-by-step guide through the learning plan of the Par ici language method. It can help you plan your courses, make the most of the learning content relevant to each scenario, and meet the goals of the FSL program in a creative way. As such, it is an invaluable tool to take language learning a step further and help you consolidate your students’ achivements. 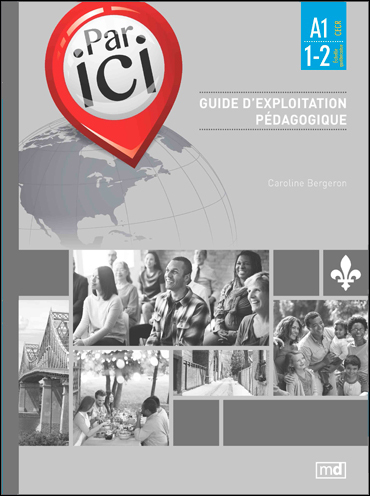 Par ici favours the communicative approach combined with the task-based language learning, and adopts a progressive learning curve within an essentially North American perspective. 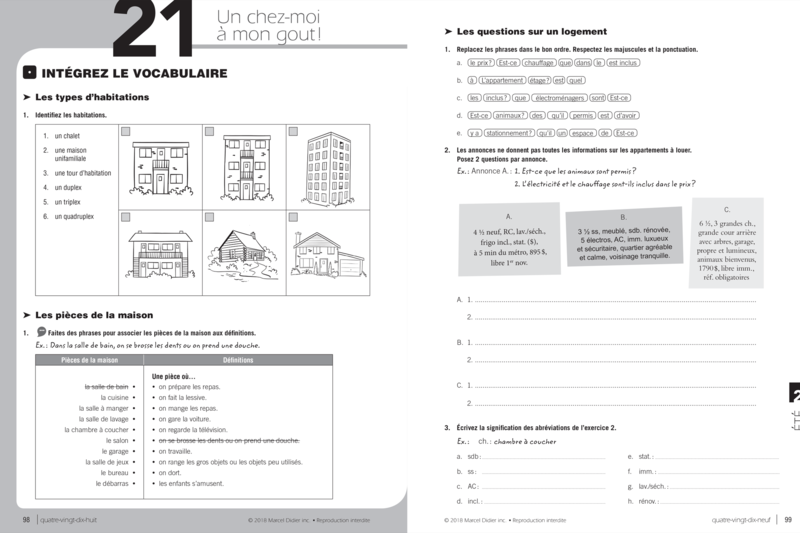 Through the 26 learning scenarios, students are introduced to various characters while absorbing the distinctive features of spoken Quebecois French. 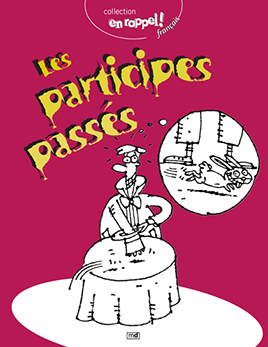 This method is the brainchild of Quebecois teachers. 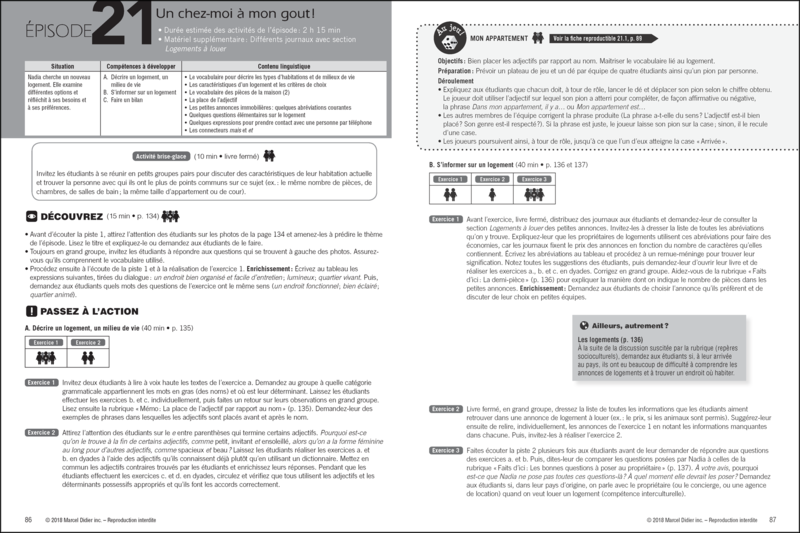 Its primary aim is to help students master levels 3 and 4 in each of the four skills – oral production, oral comprehension, written production and reading comprehension – described in the Curriculum Guidelines, which corresponds to level A2 of the CEFR (Common European Framework of Reference for Languages). 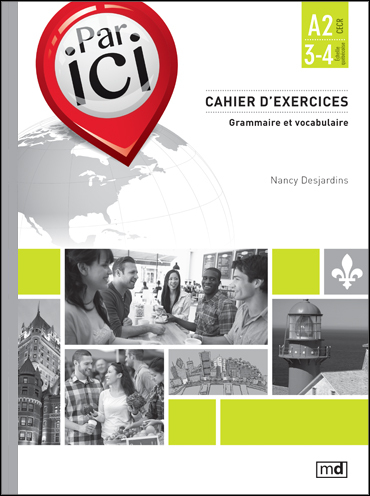 This book offers a wide variety of exercises to further explore and assimilate the grammar and vocabulary elements of the Par ici method. 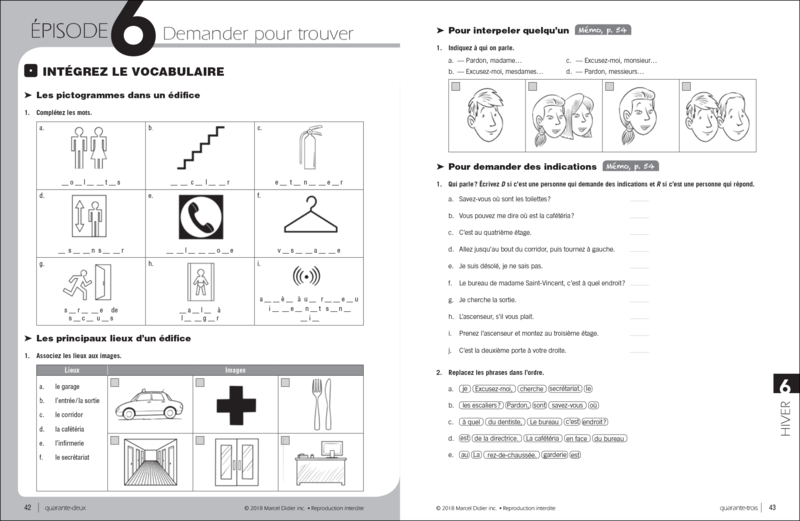 It will help you acquire the language essentials you need for everyday communication, and to master levels 3 and 4 of the Échelle québécoise (or CEFR level A2). It is an invaluable tool for anyone wishing to learn French as it is spoken in Quebec and elsewhere in North America, with a view to study there, to work there, and more generally to integrate the new society. Par ici favours the communicative approach combined with task-based language learning, and adopts a progressive learning curve within an essentially North American perspective. 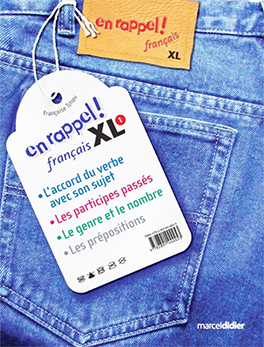 Through the 20 learning scenarios, students are introduced to various characters while absorbing the distinctive features of spoken Quebecois French. This method is the brainchild of Quebecois teachers. 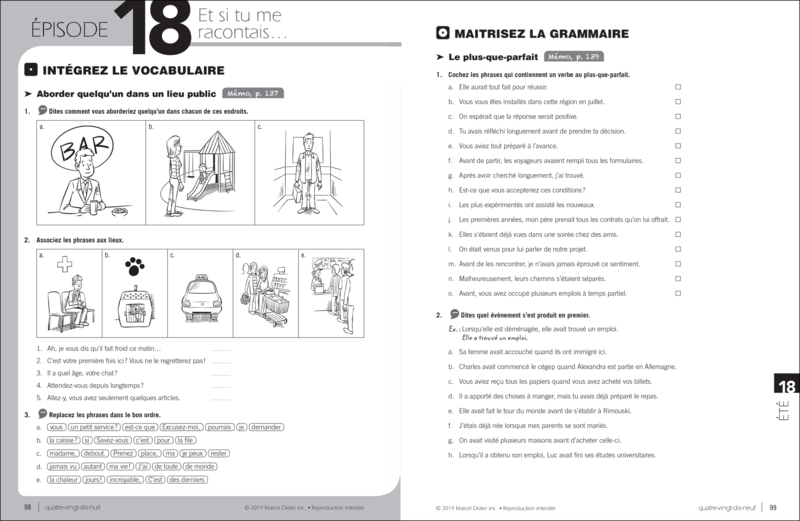 Its primary aim is to help students master levels 5 and 6 in each of the four skills – oral production, oral comprehension, written production and reading comprehension – described in the Curriculum Guidelines, which corresponds to level B1 of the CEFR (Common European Framework of Reference for Languages). 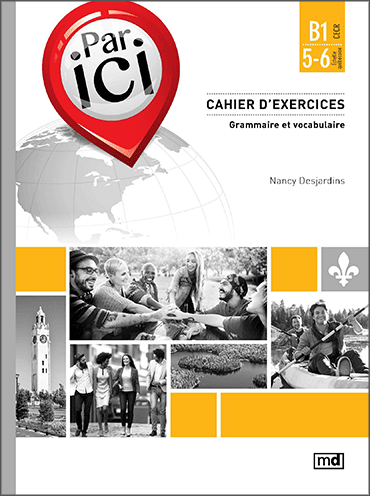 This book offers a wide variety of exercises to further explore and assimilate the grammar and vocabulary elements of the Par ici method. 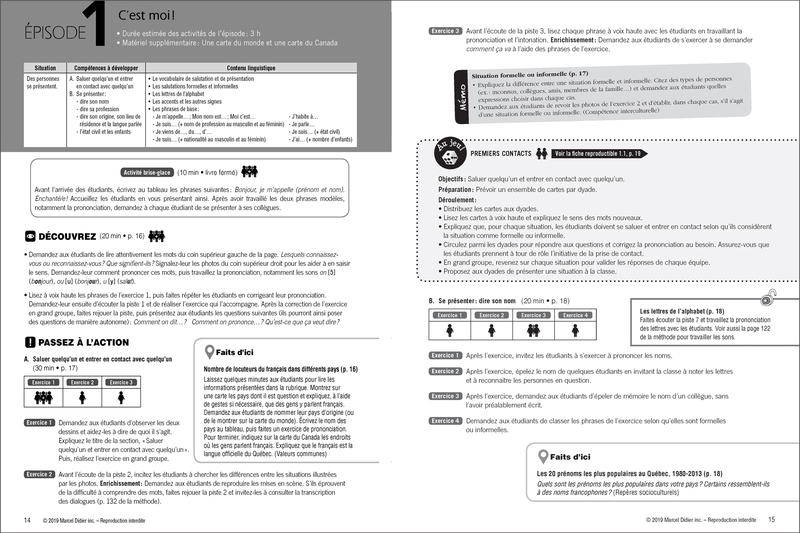 It will help you acquire the language essentials you need for everyday communication, and to master levels 5 and 6 of the Échelle québécoise (or CEFR level B1). 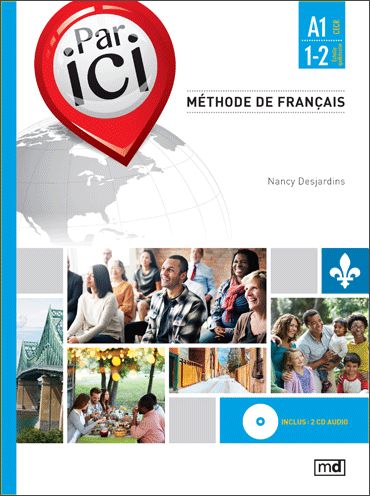 It is an invaluable tool for anyone wishing to learn French as it is spoken in Quebec and elsewhere in North America, with a view to study there, to work there, and more generally to integrate the new society. 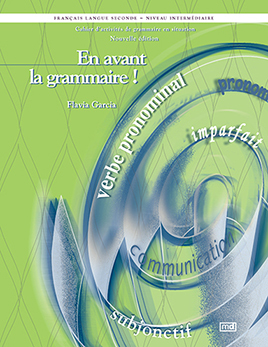 These selected reference books can help you further your learning of French. 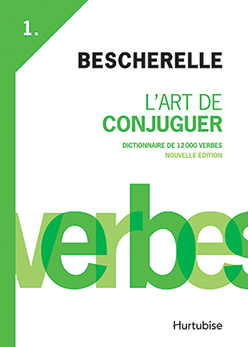 Bescherelle Series: The definitive reference on french conjugation! 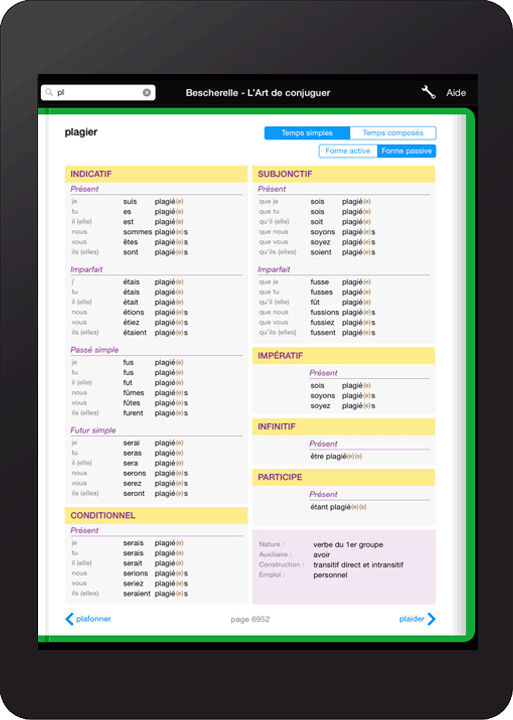 Keep all verb conjugations at your fingertips with this quick and easy resource. 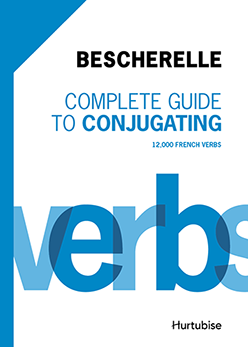 For English speakers who wish to master French conjugation. This app is designed for iPhone, iPad and Android. * No exchange, credit or refund will be issued for digital orders after online transaction is confirmed. methode-parici.com cannot be held in any way responsible for compatibility issues between digital products and electronic devices, unless description of the product is found to be inaccurate.